“I caught my bass early in the morning north of Blood River. I was fishing between 3 and 7 feet deep. I caught my fish on a crankbait,” said York. In second for the boaters, Chris Beaudrie of Princeton, KY landed a five-bass tournament limit weighing 14.70-pounds. “All of my bass were caught on a stringer bait. I also fished just north of Blood River. I fished in between 2 and 10 feet of water,” Martin said. 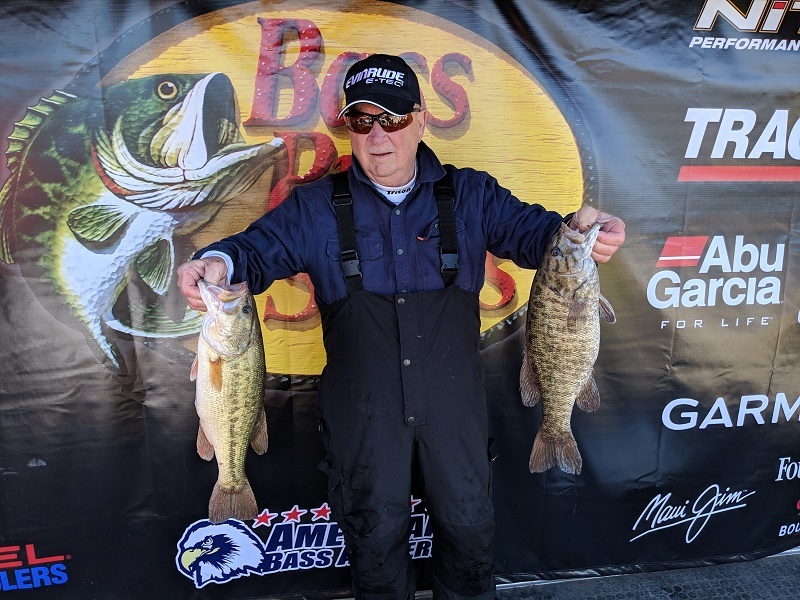 Craig Middleton of Harrodsburg, KY took third for the boaters with four bass weighing 14.02-pounds. “Most of my bass were caught between 4 and 9 feet of water. I caught them between the twin bridges, and I used a Stringer to catch them,” Middleton said. In the Co-Angler Division, Tom Ballowe of Eddyville, KY won with the three bass limit at 12.65-pounds. He pocketed a check for $700 for his first place win. “Well I caught my fish all over. I fished in about 3 to 10 foot of water. I caught my fish with digs from Cabin Bate and Tackle Shop,” Ballowe said. 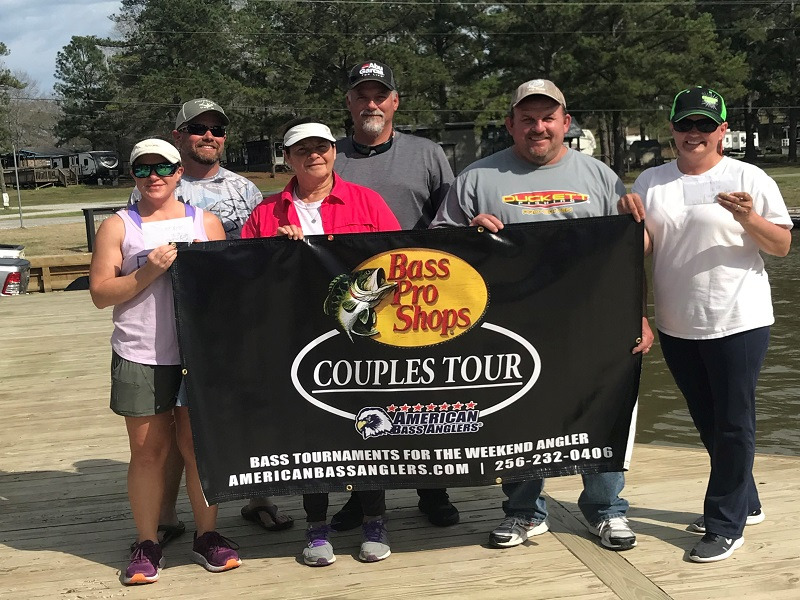 Taking second for the co-anglers, Dean Hesse of Brandenburg, KY brought in two good looking bass weighing 9.55-pounds. “I fished about 3 to 6 feet of water for my catches. I caught both of them on a swimbait. I caught them so far down south, I was in Cuba,” Hesse said. 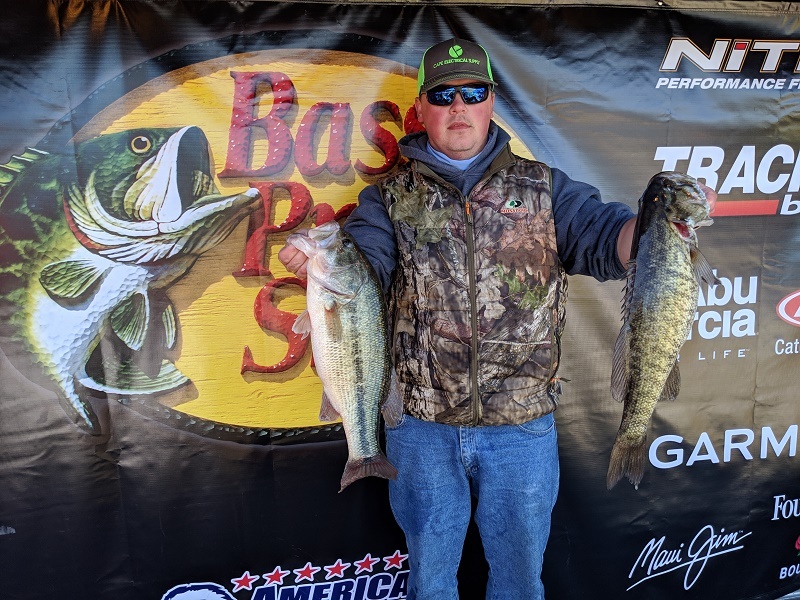 Nick Emerson placed third for the Co-Anglers with his first entry ever in American Bass Anglers tournament. He weighed 2 fish with a total weight of 8.44 pounds. “I fished between two bridges in about 3 to 6 feet of water. I fished with a crankbait all day,” Emerson said. 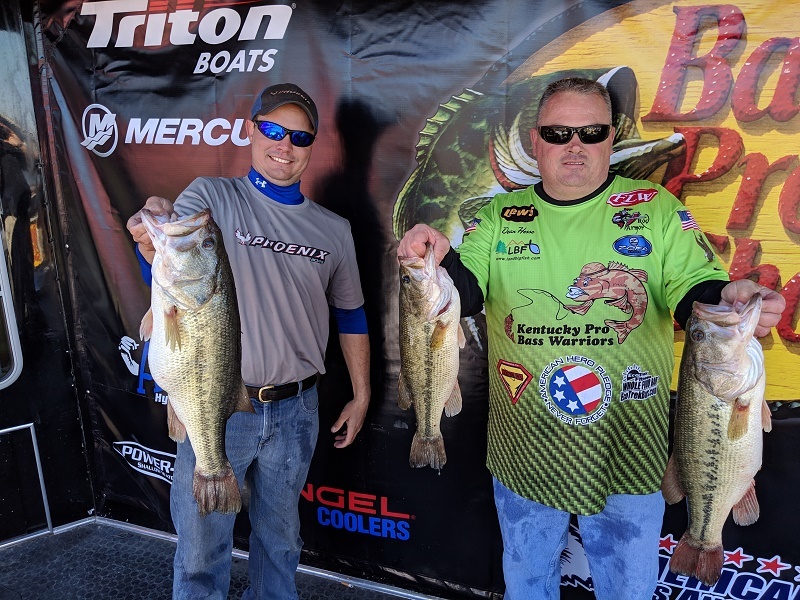 The biggest bass for the boaters was caught by Charlie Craycraft, pictured on the left, that weighed a whopping 8.03-pounds. The biggest bass for the Co-Anglers was caught by Dean Hesse, pictured on the right, that weighed in at 5.73-lbs. 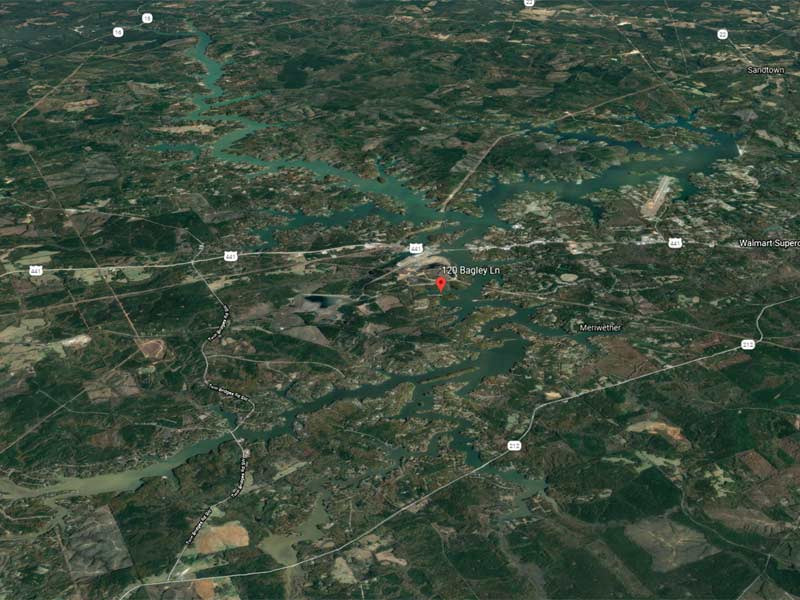 Slated for April 20th, the next tournament will be held on the Lake Barkley out of Kuttawa Lyon County in Kuttawa, KY.
At the end of the season, the best anglers from across the nation advance the 2020 Ray Scott Championship to be held at Lake Hartwell in April, 2020.